ALL RITMO by Lifestyle are spacious and bright. 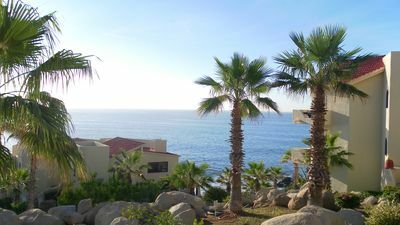 The rooms are decorated in a contemporary style, with a traditional Mexican flair, and appointed with balcony or terrace for a lovely ocean or garden view. MANDATORY all-inclusive rates for food, drink and entertainment is due at arrival at the resort. Rates range from $79-222 per person per day and $30-60 for children. Inquire for exact rates. Cancun, a place of diversity is located on the Caribbean Sea, and is one of the easternmost points in Mexico and just north of Mexico’s Caribbean coast resort band known as the Riviera Maya within the Yucatán Peninsula in the Mexican state of Quintana Roo. 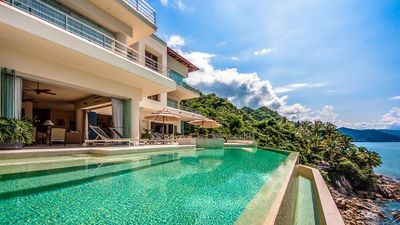 This historic land that once housed the Mayan Empire is lush in tropical vegetation, resplendent in ancient historic sites, modernized with luxurious resorts and gourmet cuisine and nestled along sandy beaches of Caribbean azure waters. Explore the mystery and magic of spectacular Chichen Itza, the ancient capital and archaeological zone for the Mayan ruins. Swim in a magical cenote, a waterway specific to the area, before exploring the amazing Mexican landscapes to be found within Tulum or Xel-Ha aquarium and park. Looking for more seafaring adventures? Feel the wind in your hair as you sail through sparkling turquoise water on a sleek trimaran (a sailboat with three hulls) to Isla Mujeres, the tropical island off the coast of Cancun that sits on the imaginary line between the Gulf of Mexico and the Caribbean Sea. 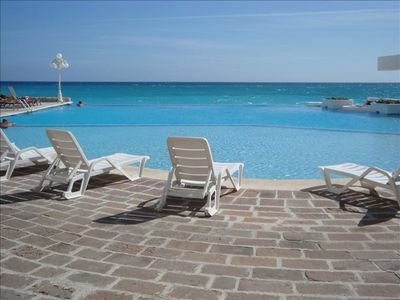 Explore Isla Mujeres, and enjoy a relaxing day away from the Cancun hustle and bustle. Take a day trip to Xcaret, an incredible eco-archeological park in the Riviera Maya. Spend the day in paradise as you relax, snorkel, enjoy nature and take part in family-friendly activities Whatever your fancy, Cancun is a place where you can find it. 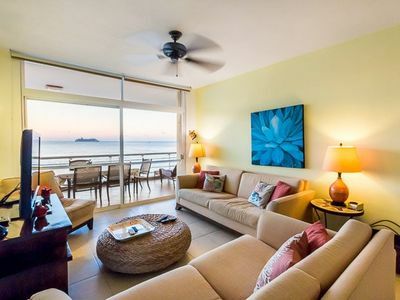 The diversity of the history with new and modern luxuries, as well as an abundant beauty and fair weather makes this a vacation paradise you need to experience to believe. Transfers to and from the airport are included in the rental. Shuttles, buses, taxis as well as car rentals are available for you to get around to your desired destinations. 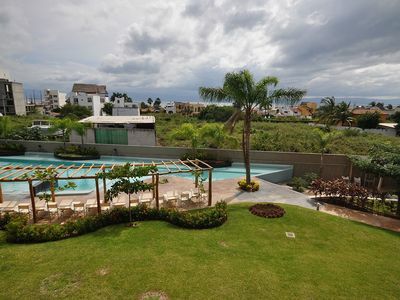 Resort Description This fun and amazing all-inclusive hotel, ALL RITMO by Lifestyle is a majestic collection of 3 story buildings that is situated along a picturesque waterway and marina. Throughout the day complimentary drinks such as beer, sodas, and fruit smoothies can be enjoyed. 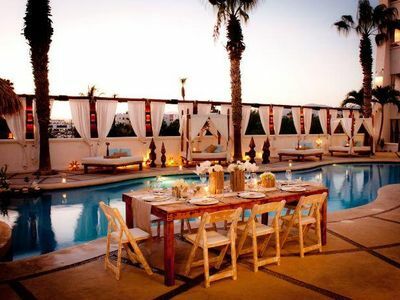 You can always find a sumptuous snack or mouthwatering meal to feast on in one of the resort’s themed restaurants and bars. Accommodation Description Staying at ALL RITMO Resort means getting an automatic pass to the fun that our water park is all about. With the Junior Suite, you will find a relaxing space where to rest after a gratifying day of exciting activities. 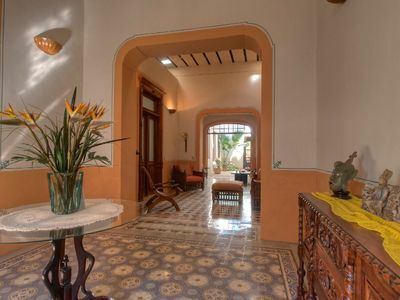 Every room is spacious and bright, decorated in a contemporary style with a traditional Mexican flair. 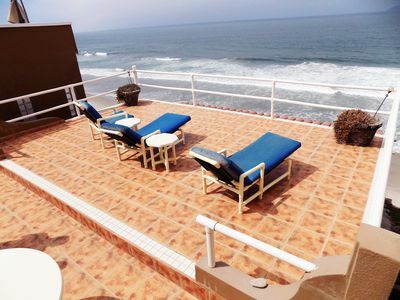 All of them provide a balcony or terrace from which you can admire either the lovely ocean or the hotel’s garden. Junior Suites have an additional area with a sunken living room. Choosing between a king bed and two double beds, we can accommodate up to two adults and three children per guestroom. 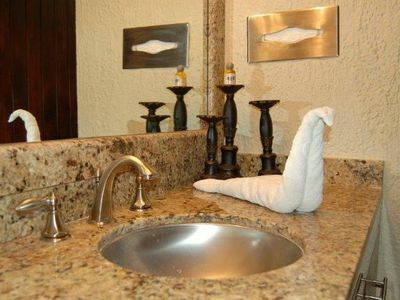 Each large, private bathroom is equipped with a bathtub/shower combination and every room offers individually controlled air conditioning; ceiling fan; satellite TV; direct-dial phone; message and wake up call system; luxurious amenities; coffee maker; hair dryer; iron, ironing board, and safety deposit boxes at a nominal fee in some cases. Cribs are available upon request. 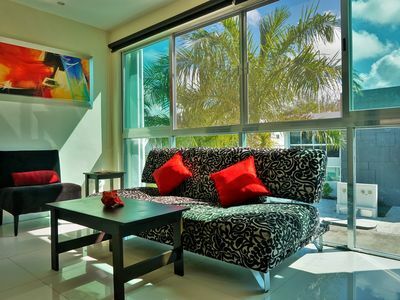 The resort is non-smoking in all guest rooms, public indoor spaces and dining areas. 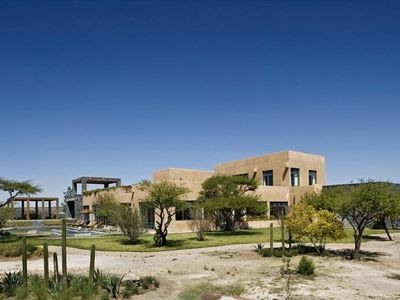 Fabulous Home/Retreat Center Outside of San Miguel De Allende! 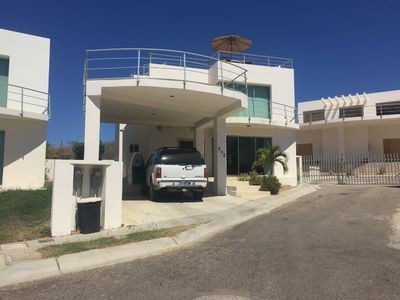 Stunning 4BD Beachfront Villa. 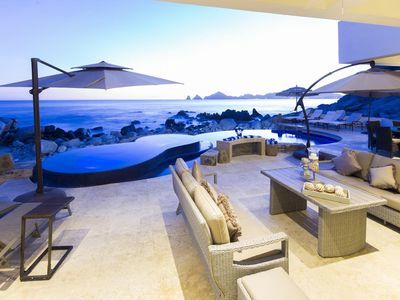 Best deal in Cabo! 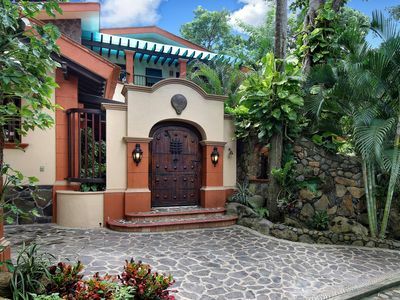 Newer, contemporary home in gated, guarded community. Chevy Tahoe available!